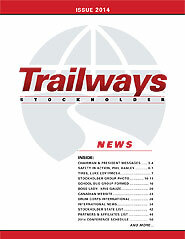 Current Trailways Stockholder Roster (Alpha Order by Company Name) as of 9/15/14. 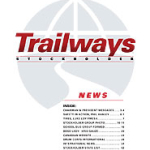 Contact our database administrator at bustrails@trailways.com 703-691-3052 x 102. Need a rental car for your next business or family trip? Budget Rental’s discount program with Trailways can save you and your employees money and is a great employee benefit. Please see the Budget Cards Attachment that can be used by various members of your company (staff) or family members.